While it has flourished for decades in Los Angeles, Korean cuisine is now booming across America  and it’s about time. With salty-sweet barbeque, spicy stews and tangy kimchi, Korean cuisine is known for its bold, sharp profiles and today’s chefs have taken these deep, layered flavors and morphed them into a modern cuisine that is undeniably in demand. Western chefs are trained with, “European biases,” Chef Pacio explains. The classical French philosophy behind creating food claims that great technique leads to great flavor. Asian foods, however, don’t have the documentation, recipes or meticulous techniques western chefs come to rely on, and can, thus, seem like mish-mashed cookery. fusion is also on the rise. On Thanksgiving weekend of 2008, Kogi, a Korean taco truck operating in L.A., changed dining as we know it. Kogi, not only revolutionized modern Korean cuisine, but they also kicked off the West Coast street food frenzy. Chef Choi trained with existing Mexican taco trucks to help get a feel for the business. When it came to the menu, he was looking to create something bigger than merely Korean food in a taco. Chef Choi sought to create L.A. cuisine as he knew it. The Koreatown in L.A. borders a heavily populated Latin neighborhood which inspired Chef Choi to combine the distinct flavors and spices found in these countries. Chef Choi uses kalbi, Korean marinated short ribs, as the meat in his Korean tacos because it’s similar to the traditional carne asada. The nutty, well-rounded flavor of sesame oil is prevalent in all of his dishes from the marinade to the salsas. Kogi continues to thrive and lead the street food revolution. In fact, a plethora of Korean taco trucks have followed suit and are emerging across the nation. Julia Yoon owns Seoul on Wheels, a Korean street food truck in San Francisco. In addition to her best-selling Korean tacos, Yoon serves kimchi fried rice and Korean style cheeseburgers with spicy pork and kimchi. Yoon began as a home cook, but when she became serious about opening a food truck she took a few private lessons with Chef Myung Lee, the first Korean to perform on the original Iron Chef (Japan). Together they perfected a gochujang sauce recipe for Seoul on Wheels. Chef Choi’s breakthrough Kogi menu called upon culinary professionals to take up Korean fusion in the kitchen, as well as on wheels. Fusion and Pan-Asian restaurants play a critical role in expanding Korean cuisine. Namu, a Korean hot spot run by Executive Chef Dennis Lee, is a modern neighborhood restaurant that also has an extremely popular satellite street food stand at San Francisco’s iconic Ferry Building. Chef Lee serves his Korean “tacos” as open-faced fusion of kimbap, with nori in place of tortillas. Street fusion helps Korean food integrate into the mainstream by offering quick, affordable Korean items in a hip, yet approachable fashion. For Namu, their Ferry Building presence is a prime location for drawing new customers. After sampling their limited stand menu, diners are drawn into the restaurant where Chef Lee offers a full bill of fare, preparing a spectrum of dishes representing both traditional and modern Korean cuisine. Tim Luym, Consulting Chef at Attic in San Mateo, has also noticed, “hot dog stands are even using kimchi instead of sauerkraut. They are both fermented cabbage so it makes sense to use them interchangeably.” This union allows the love-or-hate Korean backbone, kimchi, to ease its way into the greater American palate. Korean dishes on his eclectic menu, but is confident he will bring on more as the Korean food trend continues. Chef Tila supports Pan-Asian establishments, but understands why there is a stigma. “A lot of people claim the Pan-Asian title, but only really understand one or two of the Asian cuisines,” he says. Chef Tila has battled this by featuring line cooks from each country represented on Wazuzu’s menu. He says having different Asian cuisines on one menu allows consumers to be daring and safe at the same time. Patrons can try a Korean dish they’ve never had along with the sweet and sour pork they know and love. Cham Bistro’s chef, E.J. Jeong, sources local, Western vegetables such as kale for their California bibimbap. She experiments with vegetables, but retains the traditional Korean flavors through sauces such as gochujang, the staple Korean red pepper paste. 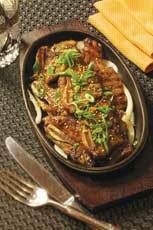 Chef Luym also encourages tying new Korean flavors to familiar ones. For example, Chef Luym uses nettles, when in season, instead of spinach to create a popular banchan, a Korean side dish at Attic. “You still bring out the textures and flavors of the banchan, and can still use the recipes that are native to the Korean cuisine, just with a different main ingredient,” says Chef Luym. Breaking down the cuisine and fusing it with familiar flavors allows diners and chefs to make Korean food more tangible. Chef Pacio is a classically trained chef who is continuously influenced by the philosophies of and his education with Thomas Keller. While Spice Kit’s flavors are traditional Korean, Chef Pacio says he “incorporates the techniques and operational philosophies of fine dining,” at Spice Kit. He believes Korean food is able to achieve umami without relying on MSG, like many Asian cuisines. “There is a richness in the food that is achieved and is different than other Asian cultures,” he says. Why change that by adding a degree of fusion? Chef Tila is also a self-proclaimed purist when it comes to his cooking “There isn’t a lot of cross-over,” he says, “The most fusion I do is take a Korean ingredient like gochujang and use that in different dishes like in Thai soups.” Chef Tila’s family owned a Thai supermarket in L.A. where they had a variety of Asian ingredients, which definitely influences his cooking-style today. As Chef Tila puts it, “The flavors in Korean food are big and, in a good way, unapologetic. And they’re a lot of fun to cook, too.” Try each flavor individually, and then layer them to create depth and demystify Korean cuisine. Whether taking baby steps with fusion or big bites with traditional fare, savoring Korean cuisine is a win-win for both chefs and diners alike, and luckily for early kimchi-converts, these flavors are here to stay.